A computationally oriented comparison of solution algorithms for two stage and jointly chance constrained stochastic linear programming problems, this is the first book to present comparative computational results with several major stochastic programming solution approaches. The following methods are considered: regularized decomposition, stochastic decomposition and successive discrete approximation methods for two stage problems; cutting plane methods, and a reduced gradient method for jointly chance constrained problems. The first part of the book introduces the algorithms, including a unified approach to decomposition methods and their regularized counterparts. 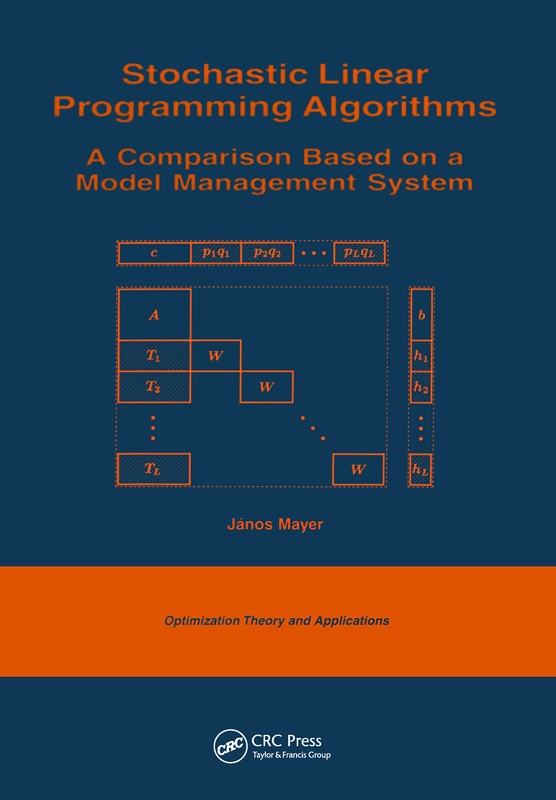 The second part addresses computer implementation of the methods, describes a testing environment based on a model management system, and presents comparative computational results with the various algorithms. Emphasis is on the computational behavior of the algorithms.